Boots describe it as a range that uses cutting edge patent-pending technology to naturally smooth the hair from root to tip without a harsh chemical in sight. I love that it tames my frizz as well as being really healthy and non-damaging for my hair, I do find it quite hard to foam up but I've read that harsh chemicals in shampoo make the lather so I don't mind using a little bit more to wash my whole head. The mango scent on both the shampoo and conditioner is absolutely beautiful and you can smell it after blow drying which is a plus. The shampoo is currently sold out on Boots online, which just shows that it's popular, you can find it here for £5.99! It's recommended to leave the conditioner on for 3-4 minutes, perfect if you need to shave your legs and to shove a face mask on at the same time, talk about a pamper! The formula is lovely and thick and creamy so the tiniest bit goes a long way, you can also find this in Boots, here for £5.99. This is a product I've never heard of before, Boots online describe it as a treatment which contains two active combinations to boost the health of your scalp and hair; this technology gently softens the bonds in your hair and lock in frizz fighting active ingredients which gives you 6 weeks of frizz free hair. It retails at £14.99 and can be found online in Boots here, although it is currently out of stock. 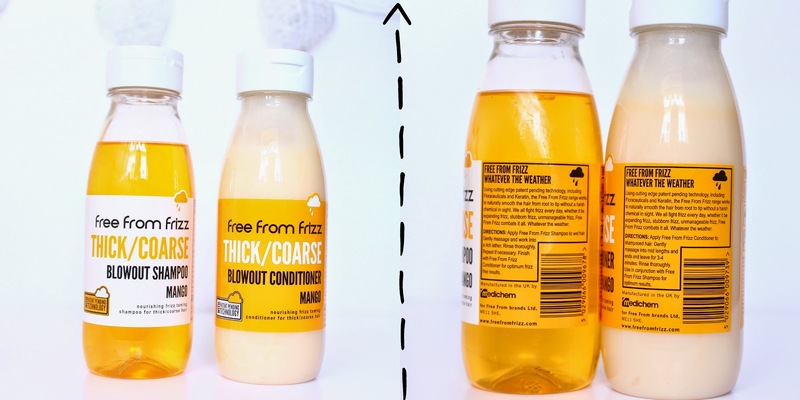 Have you tried anything from Free From Frizz before? Is frizz a problem for you? omg the packaging could be mislead, it reminds me of a milk cart a haha the products sound amazing. Ahh the packaging is beyond cute! It makes me want to buy this product more & more! I know right! Should definitely try it out! Just stumbled across your blog and I'm having a really good nose around! Its so pretty! 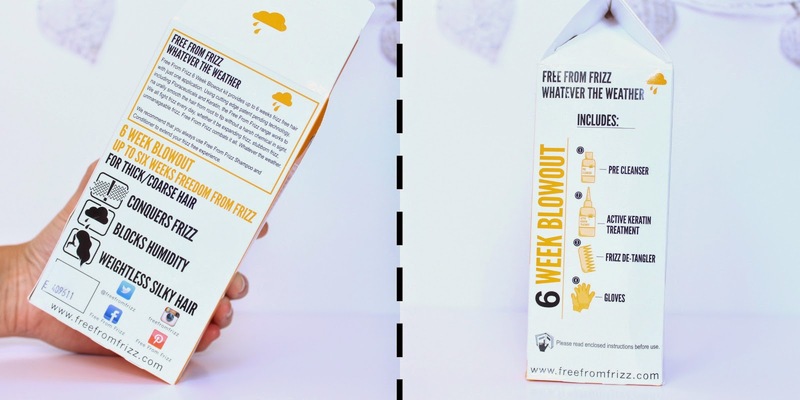 I'm dying to try out Free From Frizz, my hair is not really that frizzy but the packaging is just so darn cute!